The WKH05330 is a hydraulically operated, 3/2 directional valve. 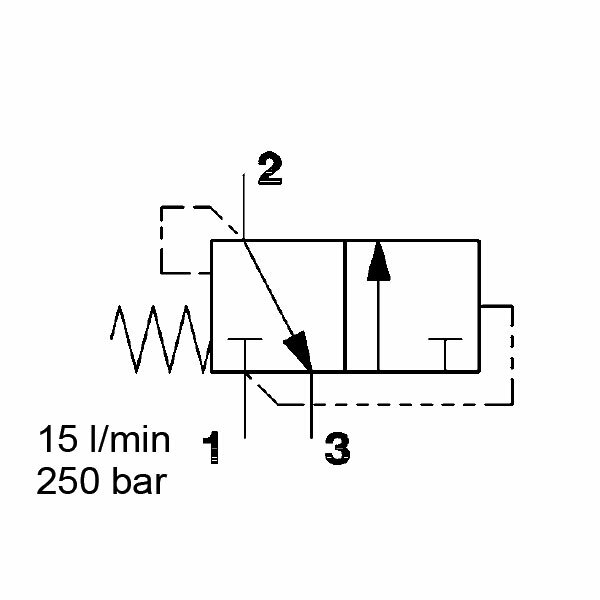 There is a closure of pump port 1 in the normal position. Therefore, there is free flow through the valve from port 2 (consumer) to port 3 (tank) below the spring pressure. With an increase in pressure at port 1 against the spring force, the valve opens from pump port 1 to port 2. It then closes the tank port 3.